DASNY and the New York State Department of Health (DOH) collaborated to significantly expedite reimbursements from bond proceeds for New York State’s hospitals, nursing homes and other health care institutions, Gerrard P. Bushell, DASNY President and CEO, and Health Commissioner Dr. Howard A. Zucker announced. The quick access to funds makes it easier for these institutions to focus on their world-class care. DASNY sells tax-exempt bonds on behalf of these institutions, enabling them to obtain lower interest rates. To requisition the funds from these bond sales, health care institutions must demonstrate that they are seeking reimbursement or payment for appropriate capital expenditures. The streamlined process developed by DASNY and DOH maintains DOH’s important watchdog role of determining that funds are spent on projects that deliver for New York’s health care system. DASNY, the number one issuer of tax-exempt bonds in the nation, has in its outstanding portfolio more than $5 billion of low-interest bonds issued on behalf of New York’s health care institutions. Three sets of hard copies of supporting documentation delivered to DOH have been replaced by one electronic submission. The supporting documentation has been reduced to a five or six page submission to DOH. Reviews and approvals are now occurring within 10 days, expediting the reimbursement to the client. These changes are the product of a listening tour conducted by Bushell. In December, Bushell’s meetings with DASNY’s clients, partners and staff resulted in an overhaul of DASNY’s financing guidelines and policy that provided education and health care institutions with greater speed, certainty and flexibility when accessing the tax-exempt bond market through DASNY. By issuing low-interest, tax-exempt bonds, DASNY is providing New York’s health care and higher education institutions savings that enable them to do more for New York’s patients and students. 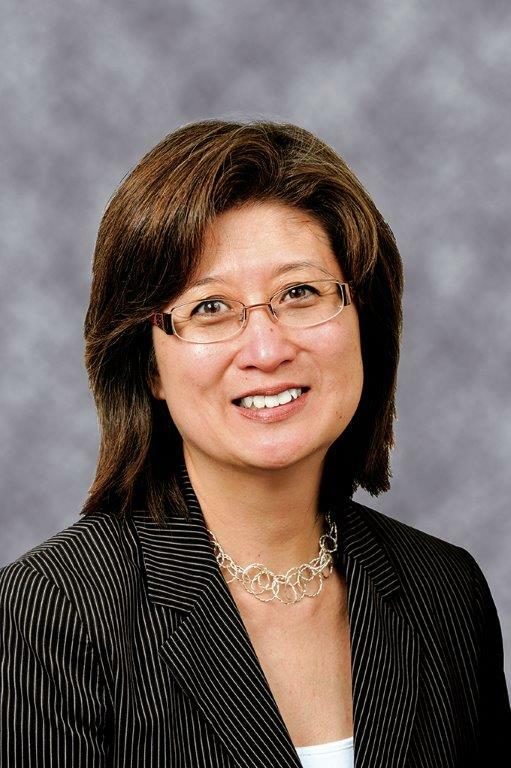 Portia Lee, DASNY’s Managing Director of Public Finance and Portfolio Monitoring, won the 2016 Public Service Award from the Municipal Forum of New York on the same day the DASNY Board approved more than $3 billion in bonds. During the same Board meeting, Bushell announced the collaboration of DASNY and the Department of Health to streamline the bond proceed requisition process for hospitals and other health care institutions that finance through DASNY. The combination of the $3.2 billion in bonds approved for public and private institutions and the changes to the requisition process made it easy to see why Lee won the award from the prestigious, time-honored Municipal Forum. Lee was integral in both the financings and the improvements to the requisition process, just as she was integral in DASNY’s placing as the number one issuer of tax-exempt bonds last year. L to R: Jill O'Donnell-Tormey, CUNY Trustee; Rein V. Ulijn, Director, Nanoscience Initiative; Gerrard Bushell, Ph.D., President and CEO, DASNY; Gillian Small, Vice Chancellor for Research and CUNY ASRC Executive Director; CCNY President Lisa Coico; Vita Rabinowitz, Exeutive Vice Chancellor and University Provost; Michal Lipson Ph.D., Columbia University Professor, Electrical Engineering; and Jacob Trevino, NanoFabrication Facility Director. 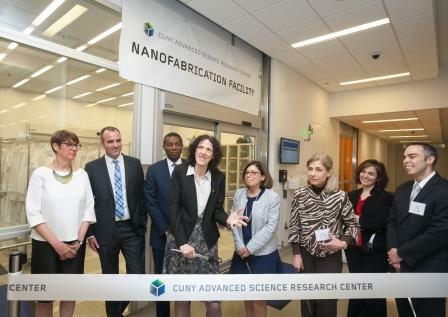 CUNY cut the ribbon on the Advanced Science Research Center, the crowning achievement of CUNY’s Decade of Science and the first facility to begin operations in a rising research corridor that DASNY is financing and building in Harlem. The $716 million Advanced Science Research Center was financed with State-supported bonds issued by DASNY. DASNY then partnered with CUNY to build it. It is the highest value project in DASNY’s history. DASNY President & CEO Gerrard P. Bushell was key speaker at the May 20 ribbon cutting. He discussed the value of the partnership between DASNY and CUNY and the role they’re playing together in laying the foundation of New York’s economic future. “DASNY is proud to have partnered with CUNY on the Advanced Science Research Center, which is laying the foundation of New York City’s economic future while delivering vibrancy to its neighborhood,” said Bushell. At the ASRC, researchers are searching inside cells and digging into the intersection of people and ecology. They are developing more effective medicine to combat Alzheimer’s and Parkinson’s. Others are examining how light can be used to detect bacteria that could be used in terrorist attacks and diagnose cancer without a biopsy. The ASRC is just a few blocks north of Columbia University’s rising Manhattanville Campus, which will house the Jerome L. Greene Science Center. Last month, Columbia issued $50 million in low-interest, tax-exempt Green Bonds through DASNY to help fund its Science Center. DASNY has also served as the conduit for a significant portion of the financing for the Manhattanville Campus.